If you’ve followed 30days for a bit you might know about my Random Acts of Kindness project I started at the beginning of the year. It has completely filled me up and made me want to go out in the world and do good. I am super excited to be able to share a way that you can help make a difference in the lives of children with me. 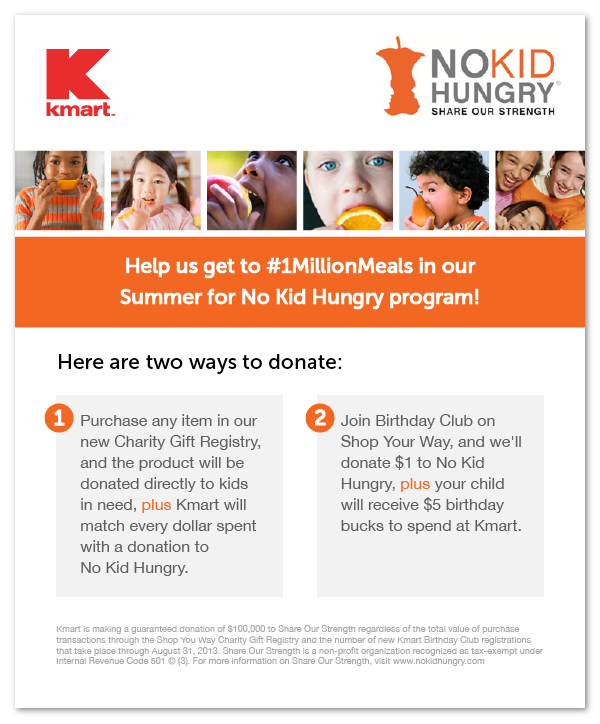 Join me, Kmart and No Kid Hungry to help end child hunger. 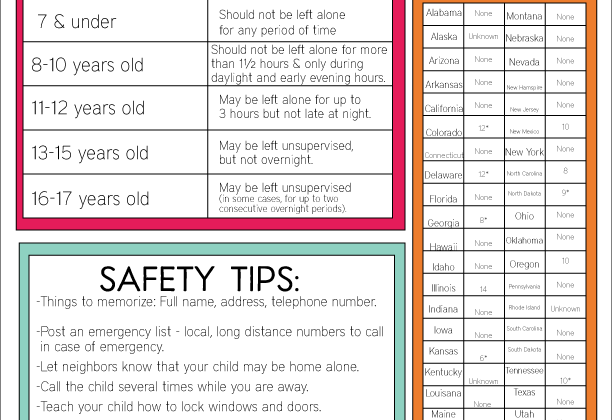 Because I live in a bubble, I didn’t realize that ONE IN FIVE kids (16 million!!) go hungry in the USA. That kills me. I can’t imagine my three kids going without food and wondering where the next meal will come from. Not sure what No Kid Hungry is? Check out this video to see what it’s all about. AND ……I will be chatting it up with my dear friends Ty Pennington and Sandra Lee …..at least we will be dear friends after the chat right Ty and Sandra? Wink Wink. 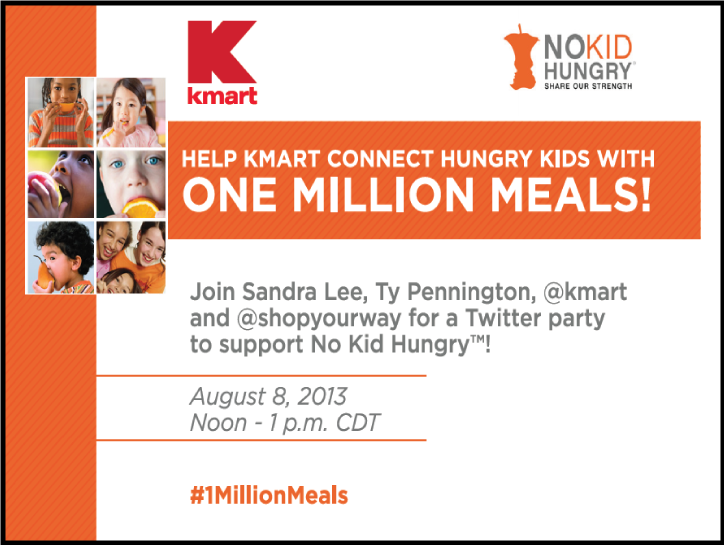 We’ll be talking about Kmart’s mission to end child hunger on Twitter this Thursday August 8th from 12pm-1pm CDT (that’s 10am my time). You can find me at @30daysblog. 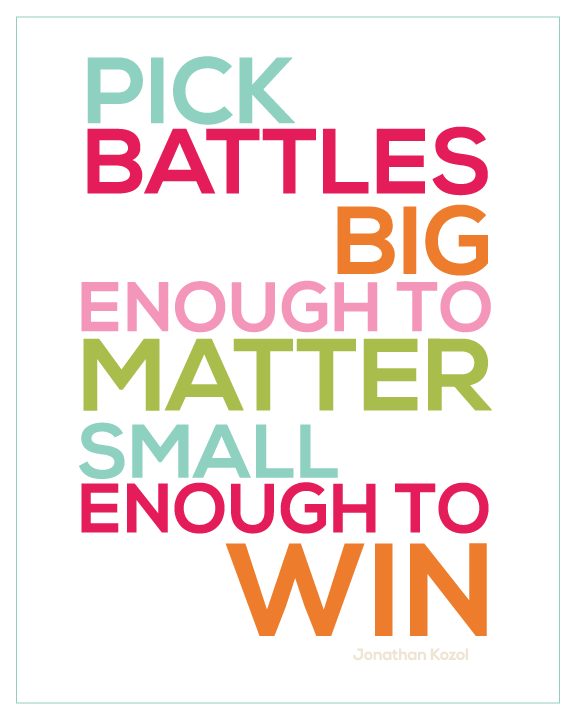 Download an 8×10 “Pick Battles” quote. For personal use only. Thanks! 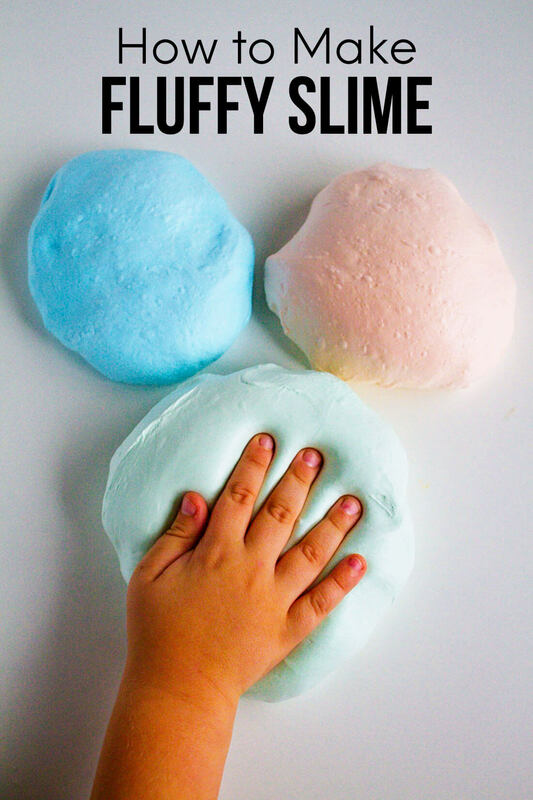 Here’s the truth- there are lots and lots of people who come to 30days often for ideas, recipes, and printables. I appreciate it so so so much. If everyone reading today donated one dollar we would pretty much meet Kmart’s goal of 1 million meals. Crazy right? Crazy awesome!! 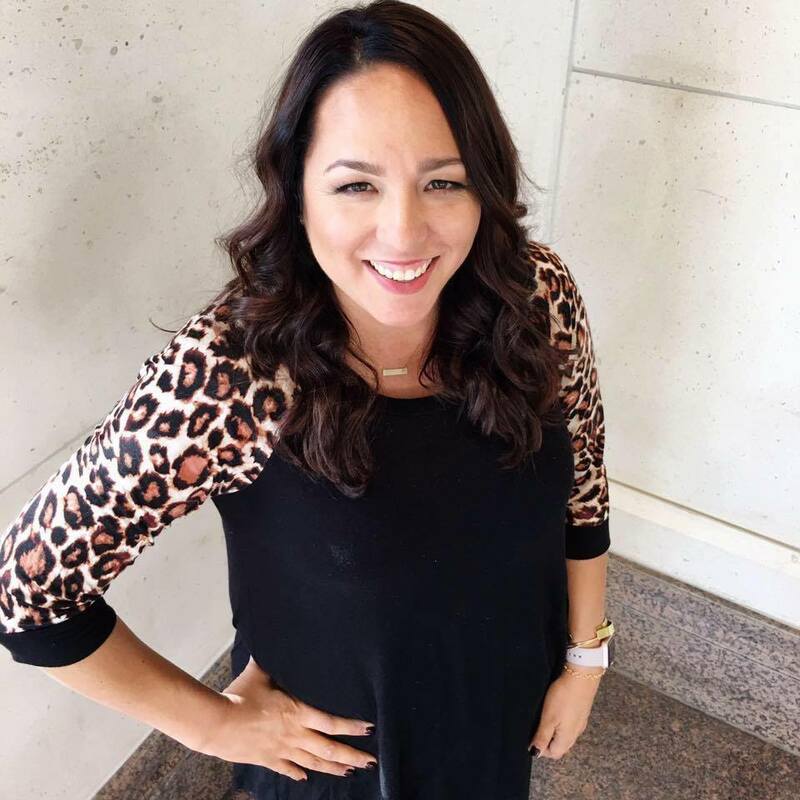 * This amount was determined on the basis that $1 can help connect a child with up to 10 nutritious meals, which is, in turn, based on the individual experiences of Share Our Strength’s grant recipients. It is provided to illustrate how community investments can be used to help end childhood hunger. Each contribution made to Share Our Strength represents a contribution to its original mission. Donations will be used to reach the highest number of children facing hunger in America. Share Our Strength is a non-profit 501(c)3 organization. This is a sponsored conversation written by me on behalf of Kmart. The opinions and text are all mine. This is a sponsored conversation written by me on behalf of Kmart. The opinions and text are all mine.